The Street Fighter™ 2 x Naked & Famous Denim: Blanka Electric Surge Selvedge jeans are made using a custom developed 12.5oz Japanese Selvedge denim with a greencast dye to symbolize Blanka’s green skin. This denim starts off dark indigo, but over time with wear and wash, the jeans will eventually fade and become greener. Blanka’s iconic electrocuted opponent is embroidered on the back pocket. The savage character’s wild orange hair is represented by an orange hair-on-hide leather patch, which features a highly detailed embossed illustration. This theme continues at the cuffs and coin pocket with orange colored selvedge edges. 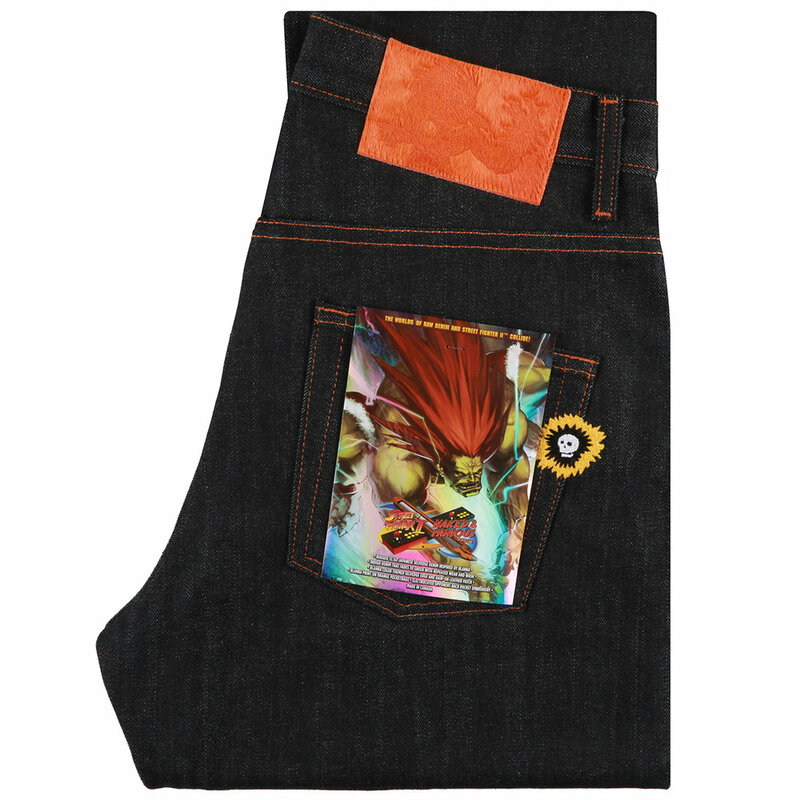 Hidden inside the jeans are fun details like orange pocket bags printed with Blanka’s portrait. Also included is a holofoil pocket flasher featuring eye-catching artwork from Udon Comics.